To understand what’s wrong with the way America feeds its schoolchildren, look no further than this sponsorship brochure for the School Nutrition Association. The SNA is the country’s largest organization of those who run school meal programs; these folks decide what will be on school breakfast and lunch trays for over 30 million students each day. It would be comforting to think that SNA members are making those decisions based on what is most nutritious and healthy for growing kids, but unfortunately they are just as likely to be influenced by the recommendations of Big Food companies peddling processed crap. The school meal program is overseen by the US Department of Agriculture, and every five years, Congress approves both funding and regulations for school breakfasts, lunches, snacks, and after school suppers as part of the Child Nutrition Act reauthorization. The most recent reauthorization in 2010 is commonly called the Healthy Hunger Free Kids Act; the HHFKA set much higher nutritional requirements for school meals, mandating servings of a variety of fruits and vegetables, more whole grains, and less sodium. For the first time, the HHFKA set a maximum on the amount of calories a meal could contain, which didn’t sit well with pizza and french fry companies who had grown used to funneling much of their production into the school meal program. Pushback from these companies drove some changes to the original new regs proposed for the HHFKA, but Big Food soon enlisted help from the 55,000 members of SNA to get their message out that the regs went too far, that kids were rejecting the meals, and that schools should be allowed more “flexibility” to decide for themselves what to serve their students. That has been the message in dozens of press releases sent out by SNA over the past couple of years. 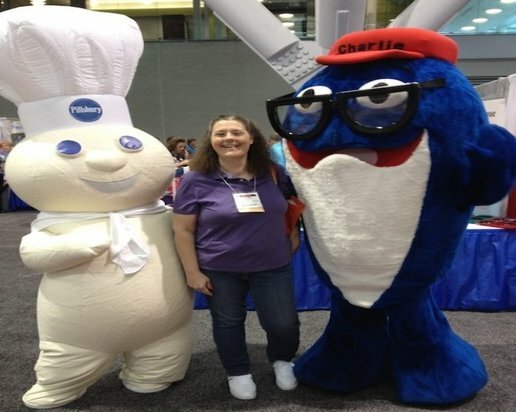 It’s understandable that the processed food industry would try to protect their business, but doesn’t the public have the right to expect that school nutrition directors, who are paid with public funds, should be advocating for the health of the children they have been hired to serve, and not the interests of Big Food? How did the food industry get such a grip on the agenda of the School Nutrition Association? In a word: sponsorship. Like many other nationwide organizations, SNA holds annual meetings. Those meetings include the School Nutrition Industry Conference, held this year in January in Phoenix; the Legislative Action Conference, coming up March 1-4 in Washington DC; the National Leadership Conference held in late April in San Diego; and the Annual National Conference , scheduled for mid-July in Salt Lake City. Other sponsorship opportunities at SNIC (at prices ranging from $2,500-$6,000 a pop) included the right to “offer product samples and place one giveaway on every seat in the room” at conference sessions; “your targeted marketing message to all attendees” printed on hotel key cards for the conference; “the right to provide product for all breaks throughout the conference”; and “the opportunity to drop a gift or collateral piece in the rooms of all school nutrition operator attendees”, in addition to various breakfast and lunch sponsorship opportunities. Based on recommendations from the Institute of Medicine, all of those improvements (part of the 2010 Healthy Hunger Free Kids Act) were designed to make school meals healthier for kids. But that’s apparently not how SNA sees them. They seem to feel that rules making school food more nutritious for kids are part of those “challenges” facing “industry partners” (read Big Food sponsors) that they want to address at the LAC. Tuesday March 3rd has been set aside by the LAC for SNA members to “Charge to the Hill”, to visit with their own members of Congress and promote the SNA Position Paper and its issues. In other words, the purpose of the LAC is for SNA to deploy its members into the offices of our nation’s leaders to demand that rules making school food healthier for kids be dumped in favor of rules allowing more processed crap. I know that I, for one, will sleep better at night knowing that the likes of Domino’s Pizza or AdvancePierre Foods (“America′s #1 provider of sandwiches, fully cooked burgers, Philly steak, stuffed chicken breasts and country fried steaks”) get the opportunity to mix and mingle with my House and Senate leaders, arm in arm with those who run the nation’s school meal programs. What could possibly go wrong for kids’ health? 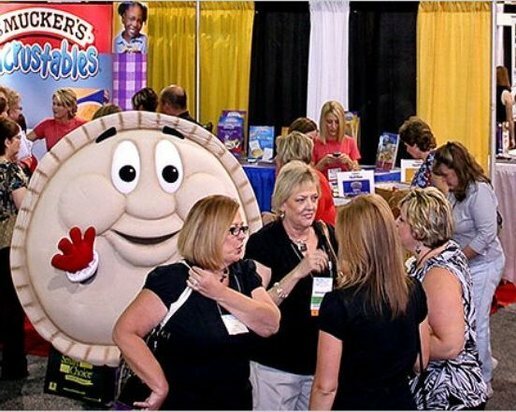 The smorgasbord of “branding opportunities”, product placement, banners and souvenirs and signs galore featuring sponsor’s names and logos continues through the year at SNA’s National Leadership Conference and the Annual National Conference. In other words, the opportunity to ensure that the future leaders of SNA will continue to prioritize the sponsor’s agenda over what is best for kids. Similar benefits can be purchased for $15,000 through sponsorship of SNA’s Summer Feeding Toolkit. Or for $50-$85,000, sponsors can purchase those benefits and more, including the “opportunity to reach students and parents with the sponsor logo on backpack brochures” during National School Lunch Week in the fall, or School Breakfast Week in the spring. Good to know that SNA is profiting from enabling Big Food to market themselves directly to kids and their families. Again, I sleep better at night knowing that the Juice Products Association (“The leading resource and advocate for the juice products industry”) is instructing our school nutrition directors on what “the science says” about the nutritional value of fruit juice and its impact on children’s body composition and weight, the topic of a SNA webinar in November 2014. Because I am confident that all of the information delivered was totally scientific and not at all influenced by the sponsorship of the “leading advocate” for the idea that people need to drink more fruit juice. Nancy Huehnergarth, who decried the overwhelming presence of the food and beverage industry at SNA’s SNIC meeting last month, feels that SNA has lost its way. “They’re devoting so much time and energy to searching for Big Food sponsorship dollars that they’ve forgotten to prioritize our kids,” she says. How could SNA replace that funding stream? Huehnergarth offers a variety of options, explaining that more than one would likely be needed. “Charge a bit more in membership dues, draft a new sponsorship policy that allows only non food and drink industry sponsorships, increase the cost of conference admission, hold fewer national conferences (right now there are four every year) and approach foundations working in food reform for dollars that can be used to pay for Food Service Director training and technical assistance or other SNA expenses.